Well, you all are benefitting from my having a lot of beach walking to dictate a long blog post as I hiked today, enjoy! Not all posts will be this lengthy, but it’s a new trail with lots of people, so there’s a lot to say. I woke up later than usual this morning at 6am. 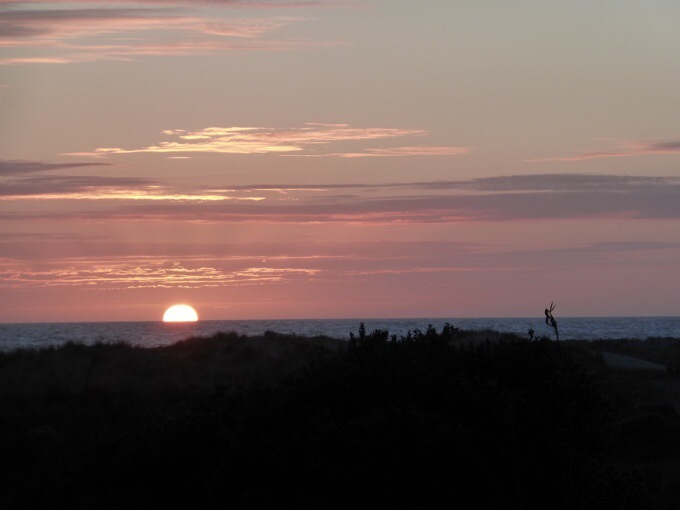 In Australia, with the birds and the early sunrise, I was waking around 5am every morning and struggled to go back to sleep. Today I woke up feeling really groggy and still a bit nauseated by all the travel yesterday. I slept in some more and hiked out at 7:15am. While I was packing up my tent, I saw the German guy I had met on the bus hiking on the trail in the distance. My tent was well hidden, so he didn’t see me as I was packing up and just behind him. I finished the short walk on the ridge and dropped down to the beach where Felix (aka “Ink” for all his tattoos) and Catherine (who he started with) were. We walked together for an hour or so. They said their hitching yesterday took about three hours and they got to the lighthouse around 7pm, so they slept next to the bathrooms at the lighthouse. They didn’t sleep much and said many cars drove up throughout the night coming and going. I had heard something about there being some traffic going through there from locals that isn’t the safest, so that is why I had chosen to walk into the trail a bit where I wouldn’t be visible. Felix says that someone came up to them late at night and warned them it wasn’t safe and someone might beat them up or harass them. Felix is a really light hiker who is experienced in many of the European trails and has done some of the Appalachian Trail. This is Catherine’s first long hike and the two of them arranged to start together through an ultralight German backpacking forum. Both Felix and I were planning to camp in the same place and figured we would overlap some today. After walking together a while, we had gotten a good distance ahead of Catherine and Felix wanted to wait to say goodbye to her. They knew he was going to be a faster hiker but wanted to start together. I told him I would probably see him later in the day and hiked on. I reached the first official campsite called Twilight Campsite 7mi/12km from the start where most camp their first night. I was able to get water at the water tank there. Apparently, there are many streams today, but they are seasonal, so I would rather just grab water for the day and not have to worry about it until camp. 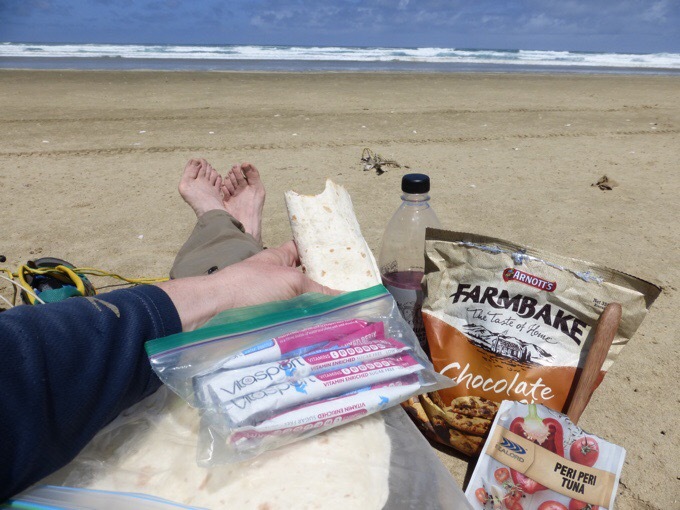 I only have a few days of food for the short leg, so it doesn’t bother me to just carry the water and not have to think about it during the day. 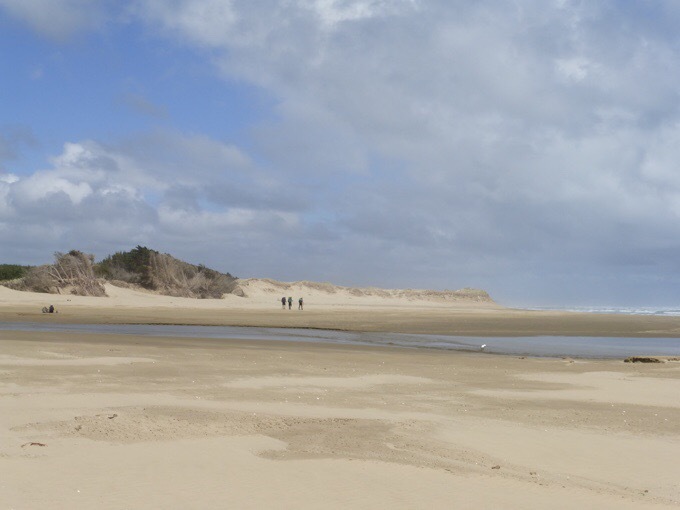 The beginning of this trail goes along what is known as Ninety Mile Beach. 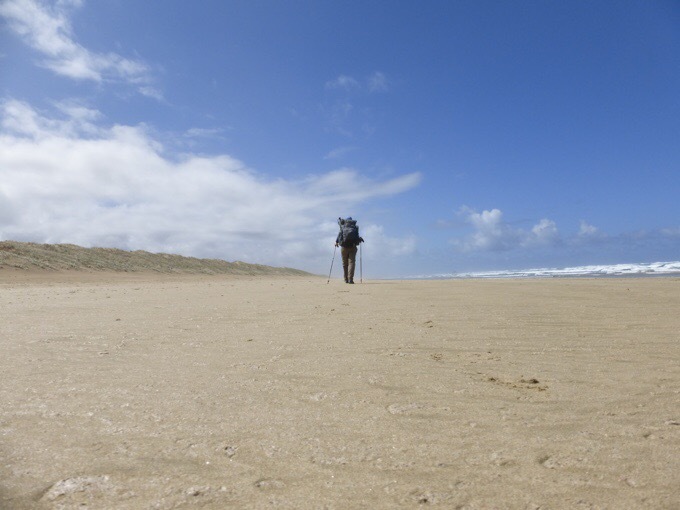 I dropped down to Ninety Mile Beach soon after an inland trail walk that left Twilight Camp. As I was dropping down the stairs, I came upon another hiker, Arisa from Japan. She too was headed to the same campsite I was and started at Twilight Camp this morning. 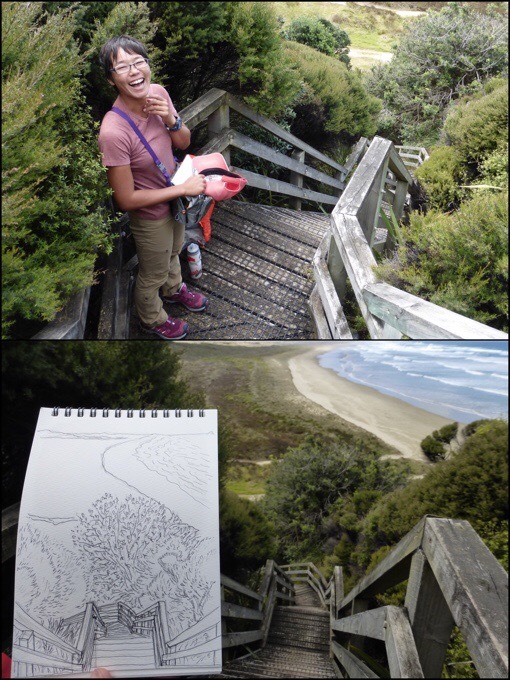 She was doing a drawing of the view ahead to Ninety Mile Beach and it was really cool. She carries colored pencils with her and will be coloring it in as well. She doesn’t know if she will be able to do one each day because they take time to do. Pretty cool! Arisa was pretty adorable. 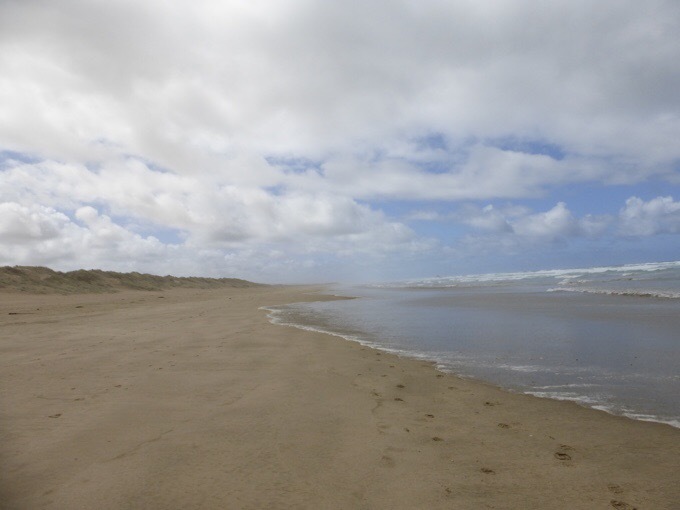 So, back to Ninety Mile Beach. 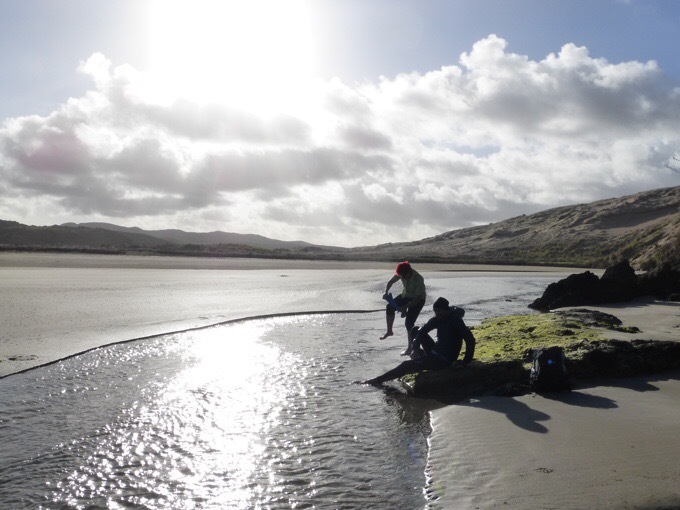 It is actually a stretch of beach that is 50mi/80km long. Maybe it feels like it’s 90mi when you hike it. I know many hikers have had difficulty with starting the trail this way. 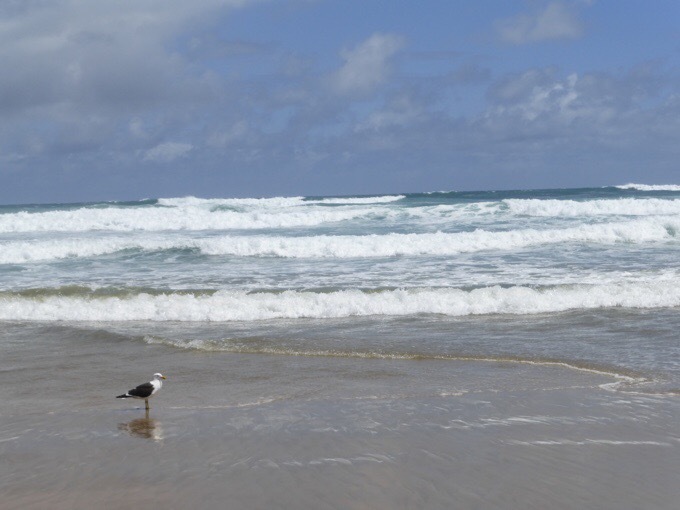 I am fortunate that I have been walking on beach my last two hikes in Australia, so my body is pretty used to it. Much of the next three days will be walking on the beach. It presents a good physical and mental challenge. Fortunately, the sand was quite packed and it was not a slog in any way. It almost felt more like a road walk with how packed it was at times. Good news is that I didn’t have much sand in my shoes or feel like I was exerting extra energy to get through the sand. There was even a part where I needed to take my shoes off to cross a stream outlet, so I went ahead and kept them off for a while, and ended up hiking almost an hour barefoot before I stopped for lunch. It felt pretty good to walk barefoot for a bit, but my feet tired of it and the shoes went back on. Lunch was a disappointment. The tuna flavor was terrible and I’m glad I got a variety to try. Another hiker had the same one today and also didn’t like it. I found a drink mix that was very blah, but something. There were no Oreos, so I tried chocolate chip cookies and they are dry and don’t have enough chocolate. It was a nice view at least! There was some slimy beach foam residue where the waves wash up that are quite slippery. I felt a slight strain behind one knee thinking it may have come from sliding forward a couple times on a stride and over extending the knee maybe. When I saw Felix at the end of the day, he said he had the same strain behind the knee and thought it was more like a road walking kind of soreness. Some people have a mental difficulty with this first stretch as there really is little change in scenery, but I was prepared. I had saved a specific podcast to listen to just for this beach walk called Sounds Of The Trail. It really is a great one that I highly recommend. Especially the second season that just wrapped up at the end of this hiking season. It centers on thru-hiker correspondents that interview people and happenings along the long trails. The host, Gizmo does an awesome job and really gets what thru hiking is all about. Her editing of what must be hundreds of hours of tape is really good. The Sounds Of The Trail podcast is consistently ranked as one of the top outdoor podcasts on iTunes, even at times holding the #1 spot. Although Gizmo prefers to focus on newer hikers and not “trailebrities” she asked me to be on to kick off this second season this summer to introduce the three long trails that comprise the triple crown. She expanded to have correspondents on all three trails this past hiking season and needed an intro episode. I knew it would be fun to listen to and heard it was a great season, so I saved it just for this beach walk. The first couple of episodes were introducing everyone as they start their hike, and it was a great parallel to what I was doing starting the TA. It really got me pumped, and before I knew it I was already mostly done with my day. I could listen to stories of why people thru hike and how they found thru-hiking forever. 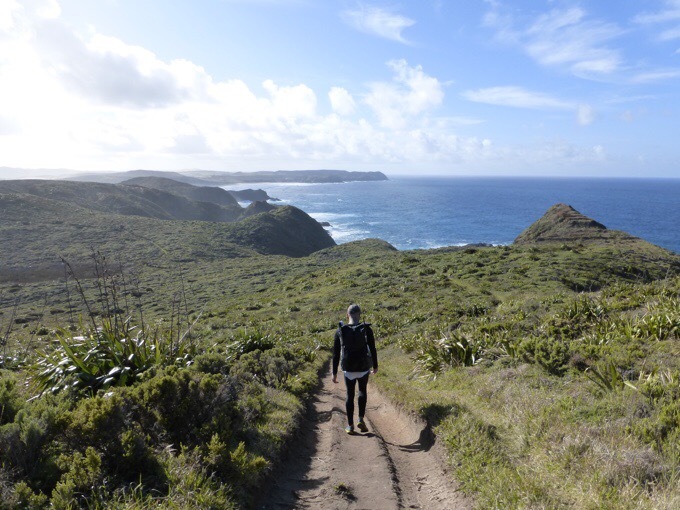 By the way, I did finish the audiobook of “When Breath Becomes Air” while hiking the Cape to Cape in Australia. I appreciated the book for what it was, which was a man’s story of his experience with cancer before he died. He obviously wasn’t a professional writer, but that was not the point. It is one of those books that I can appreciate because it gives me the reminder that you can’t guarantee each day in life. Live each day with purpose and meaning because you never know when it may be your last. Other hikers I caught up to. As for weather, today I was very fortunate compared to what NZ weather can be on this stretch. I’ve heard the winds and the heat can be intense. I had a beautiful day with clouds in and out, and cool enough temperatures to be comfortable in long sleeves and pants. The sun in NZ is particularly dangerous because there is some insane hole in the ozone layer. It can fry you quite quickly, so I have been embracing my dorky sun hat, long sleeves, and pants on this beach walk. As for the wind, it was a nice breeze of a tailwind all day. Really can’t get much better conditions. I have not checked the weather, but the general forecast for tomorrow and the next day had rain and thunderstorms possible, so I’m expecting harsher weather the next two days to town. 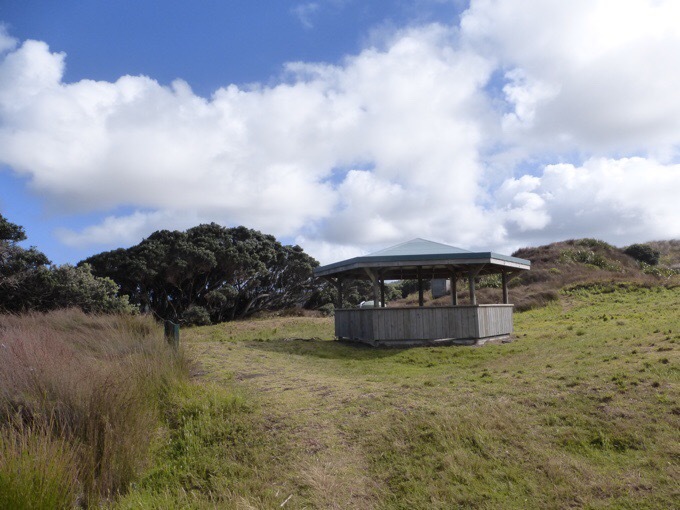 There are basically three campsites people use between here and Kaitaia. 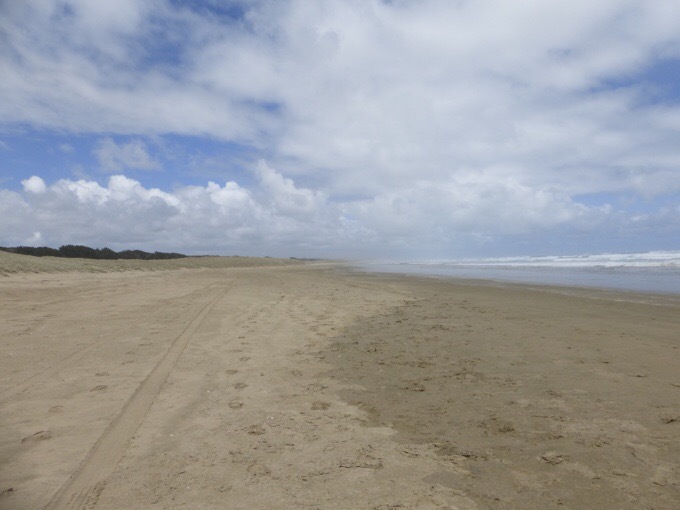 I passed Twilight earlier, and as soon as Ninety Mile Beach starts, there is a restriction, and they ask that you not camp anywhere except the 2-3 campsites that are more formal. That means two things. One is that I’ll be doing forced shorter days to comply to the campsites. Two is that it also funnels all the hikers into the same places and there is a small herd of the same people going from site to site. That is why I was happy to have made it last night. 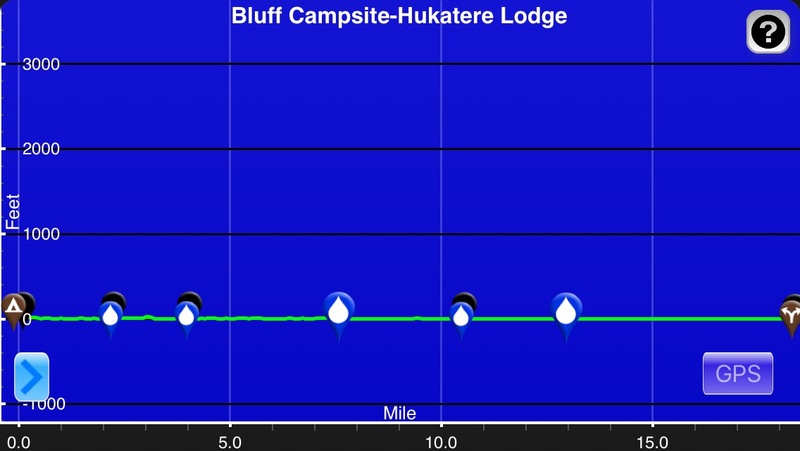 It set me up to skip Twilight Campsite and make it to the next one at Bluff in one day rather than two shorter days. This first leg is pretty cookie-cutter and most everyone seems to camp in the same three places. Frustrating for me who enjoys just walking all day and landing where I land, but I understand it and want to abide by the rules. I mentioned that I would talk about the resources on this trail. Where do I begin? 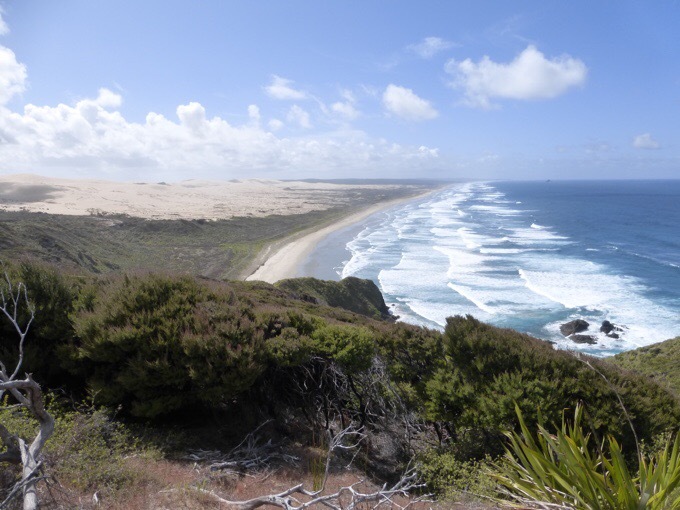 Well, there is a website for the Te Araroa, but there is not a guidebook that people carry. The one that is sold on the site is more of a tabletop picture book so don’t be tricked by that. What people do is print off the free maps and trail notes that are l on the Te Araroa site, and download the GPS track that is on the site as well. Seems pretty simple right? Well, the problem is that the information is quite light. For example, I had no idea about much of yesterday. It would’ve been nice to know about all the camping there was right there off the ridge near the start. Also, the fact that there is an abundance of opportunities rather than staying in the hostel in Kaitaia if someone wanted to try hitching like I did last night. For many years, previous hikers have also done what they can to contribute information, which is both good and bad. Sometimes too many cooks in the kitchen just makes a mess. With my stress with reading, it is quite overwhelming, but I also have a fear of not having the right information. Someone took the trail notes and cut and pasted the pertinent information from it, and did it as a side-by-side with the maps, so I’ve chosen to use that. However, I still have the full notes on my phone to make sure I’m not missing anything. It helps me to have the notes right next to the map and correlated with the correct map as it is difficult for me to see things when they’re on two different pages and jumbled up. I am thankful for that, but there are also some maps out there that people have annotated directly on the maps that are really great for someone like me. The annotated boxes literally point to the section that the verbiage is talking about and helps me to see it better. The problem is that the North Island was only updated in 2015 and the South Island hasn’t been updated since 2014. So basically, that means that I probably don’t want to use that because it’s not updated with the most current information. I really don’t know how much has changed in the last year but I decided to go with the 2016 notes. I do have those other notes on file with me, and to use on my phone if I find that those might work better for me. It you feel stressed about the options, then you understand where I’m coming from. The other resource that I am using that I absolutely love is the Guthook App. I met two others using it today. Since it is the first year that it is out for the Te Araroa, I expect there to be more flaws with the route and waypoints. I did notice that so far, the route of the track seems to follow the one on the Te Araroa website, which is known to have flaws and apparently not ground tested. I was hoping that it might have been better and that it would’ve matched an actual ground tested track. There were a couple times today that I was completely on trail and I noticed the track was off both on Guthook and the Te Araroa track. What I do like about Guthook is that it helps me to map out my day easily and not feel like I may have miscalculated or missed something. Yes, it is easy to hike without it, but the fact that I can push a button at the end of my day and scroll ahead to see where possible camping is for the next day, or a button and see how many miles I have left before I get to camp is really a great mental boost. Plus, I love having those elevation charts at the start of my journal entries to give a good picture of my day. Throughout the day today, I came upon the many others that had camped at Twilight Campsite and had started out 6mi/11km ahead of me today. I passed a French couple and a Swiss guy and ended up walking into camp at 4:45pm with three guys (German, Belgian, and American) and a Canadian that soon followed. The American hiked the PCT in 2015, so we had good conversation and some overlap in friends. Not sure if people are going by trail names out here. All really nice people today. The campsite now has 12 people. It is a wide open area with a grouping of trees on the south end that I’m camped in with 5 of the guys. The other six arrived later and the clouds had cleared so they went in the more open space near the water tap and bathroom. I took photos of everyone (except the French and German couples I didn’t get to talk to) with their tent since there were so many countries and different tents. 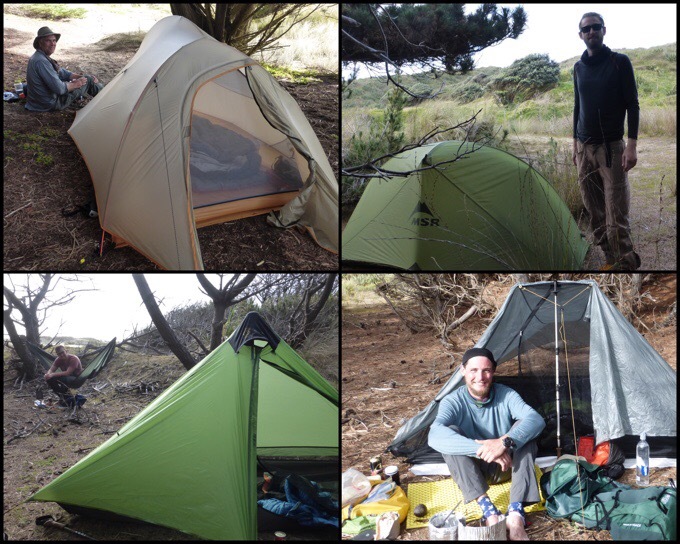 All popular on the long trails and I was familiar with except Aria’s tent from Japan. I’m loving the international aspect of this trail! 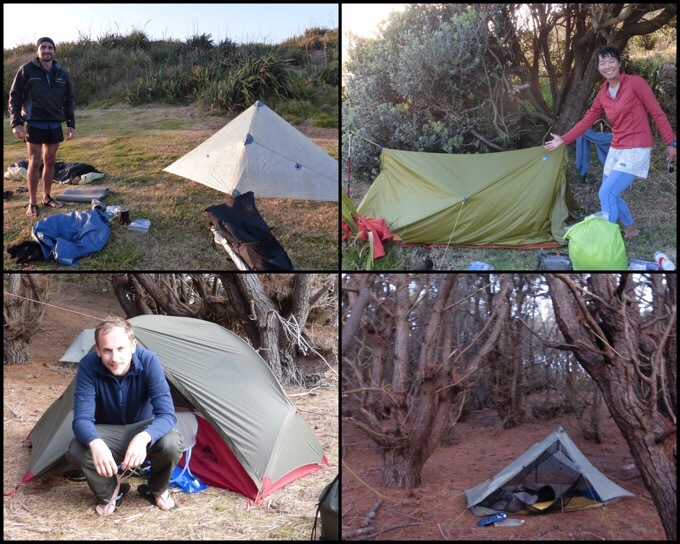 Clockwise: Felix(Ink), Germany, Zpacks Hexamid tarp; Aria, Japan, Fine Track Zelt II Long; Me, US, ZPacks Solplex; Steve, Germany, MSR Hubba. Even though I got to camp early, there was so much socializing (I’m trying!) and distraction that I still didn’t finish all my blogging and will go through the photos in the morning. There may have been service to post something if I climbed a hill. No one else had, and it wasn’t a for sure thing and I wasn’t too motivated to try. This spot in the trees is covered in long pine needles and super soft. I hardly needed my sleeping pad! The trail notes said it would be $10 to camp here, but there isn’t a way to pay. Many locals are also here and said it isn’t summer yet, so it’s free. Yay! Yep, I’ve listened to Sounds of the Trail since the beginning, and it’s how I first heard of you! 🙂 What a great start to this trail. Haha, I made it to town and somehow was inside every time it poured, whew! YAY all the coolest hikers were on the PCT in 2015 😉 Glad you guys caught up! Oooh …… those stairs . The scenery looks amazing . Great blogpost! Loved the photo of Arisa and her art. What a great way to take it all in. And you are right, you just never know where life will lead and when your last say will be. So enjoy it all you can. Erin, you definitely are an example of that for all of us! I love Sounds of the Trail, too! Do you feel that you have (or want) time to process the hikes you’ve completed? I ask because you’re on this back-to-back trek, and I wonder how the experience is different from previous hikes, where you went back to staying in one place for a while after completing a hike. For example, you’ve gone from the High Sierra Route at the beginning of the (U.S.) summer to sea-level hiking at the beginning of the AU/NZ summers….so much has happened! How do you take it all in similarly or differently than previous hikes? Do the hikes take on different meanings? Happy trails! They definitely do have their own meaning. I have personally reflected on them, but do miss that space (and time!) to write about it before the other one begins. Funnily, I’ve thought of this year as one long hike rather than a bunch of short ones in a way. That’s a perceptive insight, Susan .. I always need time at the end of a hike, to take it all in, and also to adapt back to reality and the “normal” pace of things ..